Nalan Narine, MD is a board certified physician who serves residents living in the Temecula, California area. 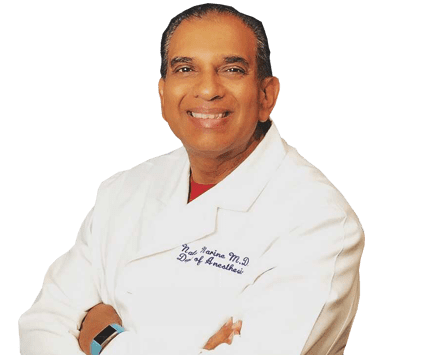 At A New You Aesthetics, Dr. Narine and his staff offer Botox® and other injectables to patients who are looking for facial rejuvenation and restoration. Local residents are encouraged to visit the facility to have all of their questions concerning injectables and facial rejuvenation answered by a professional aesthetics consultant. Dr. Narine uses injectables as part of a complete treatment plan to restore and rejuvenate youthful looking skin. Rejuvapen microneedling device is a medical-grade state-of-the-art collagen stimulator. This Collagen Induction Therapy utilizes the body’s natural response to healing after microneedling to increase the amount of collagen and elastin beneath the skin. The BTL Exilis System is a radiofrequency (RF) device that delivers high energy in a controlled fashion to the dermal and subcutaneous layers of the skin. With the added modality of Ultrasound to improve skin remodeling resulting in wrinkle, fine line and cellulite reduction. During a Botox treatment, several injections are used strategically to target specific muscle groups. Botox does not promote collagen production. Instead, it paralyzes the muscles and soft tissues allowing the skin to relax. This smooths wrinkles and fine lines creating a more youthful and vibrant appearance. 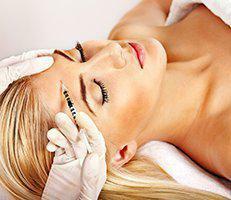 A Botox treatment normally lasts between 3 to 6 months. The tone and texture of the tissues determine how long the results last. If repeat treatments are used, the results eventually start to last longer and longer each time. Botox works best when used along the forehead, the cheeks, and near areas where creases normally form, including the eyes, nose, and mouth. Dermal fillers do not work the same way as a Botox treatment. Dermal fillers are injectables that stimulate the production of fibers within the skin that creates a firm foundation of support. Collagen and elastin are stiff fibers that provide support to tissues within the body. As a person ages, the amount of collagen and elastin produced by the body diminishes dramatically. Dermal fillers kickstart the process, increasing their production. This results in firmer, toned tissues that restore smoothness to the skin, and eliminates lines, wrinkles, and creases. The use of collagen helps reduce the sagging skin around the eyes and reduces the appearance of wrinkles around the nose, mouth, and along the forehead. Do Botox and dermal fillers have side effects? Botox and dermal fillers are both injectables. This means that to be put in place they must be injected into the tissues. Although the procedures are considered minimally invasive, anytime the skin is compromised there is a slight risk of infection. Other side effects can include redness, tingling, inflammation, and warmth near the injection site. The treatment area may also be tender to the touch and slightly inflamed for a few days after the procedure. The immediate side effects should begin to subside within a few hours. If side effects are still apparent more than a few days after the procedure, it is important to contact the physician who performed the procedure. They will note any side effects in your chart for future reference. Are there other cosmetic injectable treatments? Yes. Kybella® is an injectable treatment made from deoxycholic acid. It’s the only injectable product approved by the Food and Drug Administration for disrupting fat cells under your chin. Called submental fullness in medical circles and more commonly known as a double chin, this fat storage area typically defies efforts to reduce it. Deoxycholic acid exists naturally in your body to break down and absorb dietary fat. Injected into your double chin, the same process occurs, creating a smoother profile. Vitamin B12 injections are another injectable, but one that deals more with overall health, rather than spot treatment. B12 can be difficult to absorb from food sources through the digestive system, making injections the best way to gain the energy and metabolic boost that B12 offers.